Mozambique ( or ), officially the Republic of Mozambique (Portuguese: Moçambique or República de Moçambique, pronounced: ), is a country in Southeast Africa bordered by the Indian Ocean to the east, Tanzania to the north, Malawi and Zambia to the northwest, Zimbabwe to the west, and Swaziland and South Africa to the southwest. It is separated from Madagascar by the Mozambique Channel to the east. 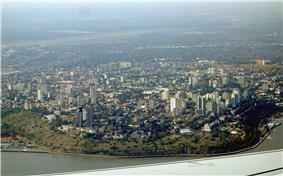 The capital and largest city is Maputo (previously called Lourenço Marques before independence). The country was named Moçambique by the Portuguese after the Island of Mozambique, derived from Musa Al Big or Mossa Al Bique or Mussa Ben Mbiki, an Arab trader who first visited the island and later lived there. 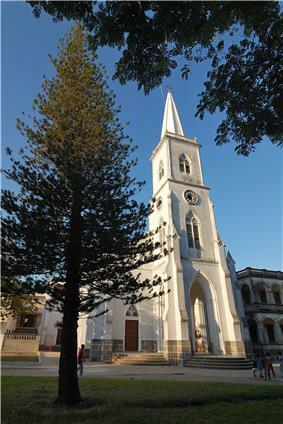 The island-town was the capital of the Portuguese colony until 1898, when it was moved south to Lourenço Marques (now Maputo). The voyage of Vasco da Gama around the Cape of Good Hope in 1498 marked the Portuguese entry into trade, politics, and society of the region. The Portuguese gained control of the Island of Mozambique and the port city of Sofala in the early 16th century, and by the 1530s, small groups of Portuguese traders and prospectors seeking gold penetrated the interior regions, where they set up garrisons and trading posts at Sena and Tete on the River Zambezi and tried to gain exclusive control over the gold trade. The Portuguese attempted to legitimise and consolidate their trade and settlement positions through the creation of prazos (land grants) tied to Portuguese settlement and administration. While prazos were originally developed to be held by Portuguese, through intermarriage they became African Portuguese or African Indian centres defended by large African slave armies known as Chikunda. Historically within Mozambique there was slavery. Human beings were bought and sold by African tribal chiefs, Arab traders and Portuguese and other European traders as well. Many Mozambican slaves were supplied by tribal chiefs who raided warring tribes and sold their captives to the prazeiros. The Island of Mozambique is a small coral island at the mouth of Mossuril Bay on the Nacala coast of northern Mozambique, first explored by Europeans in the late 1400s. Although Portuguese influence gradually expanded, its power was limited and exercised through individual settlers and officials who were granted extensive autonomy. The Portuguese were able to wrest much of the coastal trade from Arabs between 1500 and 1700, but, with the Arab seizure of Portugal's key foothold at Fort Jesus on Mombasa Island (now in Kenya) in 1698, the pendulum began to swing in the other direction. As a result, investment lagged while Lisbon devoted itself to the more lucrative trade with India and the Far East and to the colonisation of Brazil. During these wars, the Mazrui and Omani Arabs reclaimed much of the Indian Ocean trade, forcing the Portuguese to retreat south. Many prazos had declined by the mid-19th century, but several of them survived. During the 19th century other European powers, particularly the British (British South Africa Company) and the French (Madagascar), became increasingly involved in the trade and politics of the region around the Portuguese East African territories. By the early 20th century the Portuguese had shifted the administration of much of Mozambique to large private companies, like the Mozambique Company, the Zambezia Company and the Niassa Company, controlled and financed mostly by the British, which established railroad lines to their neighbouring colonies (South Africa and Rhodesia). Although slavery had been legally abolished in Mozambique, at the end of the 19th century the Chartered companies enacted a forced labor policy and supplied cheap – often forced – African labour to the mines and plantations of the nearby British colonies and South Africa. The Zambezia Company, the most profitable chartered company, took over a number of smaller prazeiro holdings, and established military outposts to protect its property. The chartered companies built roads and ports to bring their goods to market including a railroad linking present day Zimbabwe with the Mozambican port of Beira. As communist and anti-colonial ideologies spread out across Africa, many clandestine political movements were established in support of Mozambican independence. These movements claimed that since policies and development plans were primarily designed by the ruling authorities for the benefit of Mozambique's Portuguese population, little attention was paid to Mozambique's tribal integration and the development of its native communities. According to the official guerrilla statements, this affected a majority of the indigenous population who suffered both state-sponsored discrimination and enormous social pressure. Many felt they had received too little opportunity or resources to upgrade their skills and improve their economic and social situation to a degree comparable to that of the Europeans. Statistically, Mozambique's Portuguese whites were indeed wealthier and more skilled than the black indigenous majority. As a response to the guerrilla movement, the Portuguese government from the 1960s and principally the early 1970s, initiated gradual changes with new socioeconomic developments and egalitarian policies for all. The Front for the Liberation of Mozambique (FRELIMO) initiated a guerrilla campaign against Portuguese rule in September 1964. This conflict - along with the two others already initiated in the other Portuguese colonies of Angola and Portuguese Guinea - became part of the so-called Portuguese Colonial War (1961–1974). From a military standpoint, the Portuguese regular army maintained control of the population centres while the guerrilla forces sought to undermine their influence in rural and tribal areas in the north and west. As part of their response to FRELIMO, the Portuguese government began to pay more attention to creating favourable conditions for social development and economic growth. After 10 years of sporadic warfare and Portugal's return to democracy through a leftist military coup in Lisbon, which replaced Portugal's Estado Novo regime for a military junta (the Carnation Revolution of April 1974), FRELIMO took control of the territory. Within a year, most of the 250,000 Portuguese in Mozambique had left - some expelled by the government of the nearly independent territory, some fleeing in fear - and Mozambique became independent from Portugal on 25 June 1975. In an act of vengeance, a law had been passed by the then relatively unknown Armando Guebuza in the FRELIMO party ordering the Portuguese to leave the country in 24 hours with only 20 kilograms (44 pounds) of luggage. Unable to salvage any of their assets, most of them returned to Portugal penniless. The new government, under president Samora Machel, established a one-party state based on Marxist principles. The new government received diplomatic and some military support from Cuba and the Soviet Union and proceeded to crack down on opposition. Starting shortly after the independence, the country was plagued from 1977 to 1992 by a long and violent civil war between the opposition forces of anti-Communist Mozambican National Resistance (RENAMO) rebel militias and the FRELIMO regime. This conflict, combined with sabotage from the neighbouring white-ruled state of Rhodesia and the apartheid regime of South Africa, ineffective policies, failed central planning, and the resulting economic collapse, characterised the first decades of Mozambican independence. This period was also marked by the exodus of Portuguese nationals and Mozambicans of Portuguese heritage, a collapsed infrastructure, lack of investment in productive assets, and government nationalisation of privately owned industries as well as widespread famine. During most of the civil war, the FRELIMO-formed central government was unable to exercise effective control outside of urban areas, many of which were cut off from the capital. It is reported that in RENAMO controlled areas, which included up to 50% of the rural areas in several provinces, health services of any kind were isolated from assistance for years. The problem worsened when the government cut back spending on health care. The war was marked by mass human rights violations from both sides of the conflict with RENAMO contributing to the chaos through the use of terror and indiscriminate targeting of civilians. The central government executed tens of thousands of people while trying to extend its control throughout the country and sent many people to re-education camps where thousands died. During the war RENAMO proposed a peace agreement based on the secession of RENAMO controlled northern and western territories as the independent Republic of Rombesia, but FRELIMO refused wanting sovereignty over the entire country. An estimated one million Mozambicans perished during the civil war, 1.7 million took refuge in neighbouring states, and several million more were internally displaced. The FRELIMO regime also gave shelter and support to South African (African National Congress) and Zimbabwean (Zimbabwe African National Union) rebel movements while the governments of first Rhodesia and later South Africa (at that time still under the apartheid regime) backed RENAMO in the civil war. On 19 October 1986, Samora Machel was on his way back from an international meeting in Zambia in the presidential Tupolev Tu-134 aircraft when the plane crashed in the Lebombo Mountains, near Mbuzini. There were ten survivors, but President Machel and thirty-three others died, including ministers and officials of the Mozambique government. The United Nations' Soviet delegation issued a minority report contending that their expertise and experience had been undermined by the South Africans. Representatives of the Soviet Union advanced the theory that the plane had been intentionally diverted by a false navigational beacon signal, using a technology provided by military intelligence operatives of the South African government. Machel's successor, Joaquim Chissano, implemented sweeping changes in the country, starting reforms such as changing from Marxism to capitalism, and began peace talks with RENAMO. The new constitution enacted in 1990 provided for a multi-party political system, market-based economy, and free elections. The civil war ended in October 1992 with the Rome General Peace Accords, first brokered by the CCM, the Christian Council of Mozambique (Council of Protestant Churches) and then taken over by Community of Sant'Egidio. Under supervision of the ONUMOZ peacekeeping force of the United Nations, peace returned to Mozambique. By 1993 more than 1.5 million Mozambican refugees who had sought asylum in neighbouring Malawi, Zimbabwe, Swaziland, Zambia, Tanzania and South Africa as a result of war and drought had returned, as part of the largest repatriation witnessed in sub-Saharan Africa. In the 1994 elections, Joaquim Chissano was elected President with 53% of the vote, and a 250-member National Assembly was voted in with 129 Liberation Front of Mozambique (FRELIMO) deputies, 112 Mozambican National Resistance (RENAMO) deputies, and nine representatives of three smaller parties that formed the Democratic Union (UD). Since its formation in 1994, the National Assembly has made progress in becoming a body increasingly more independent of the executive. By 1999, more than one-half (53%) of the legislation passed originated in the Assembly. The second general elections were held 3–5 December 1999, with high voter turnout. International and domestic observers agreed that the voting process was well organized and went smoothly. Both the opposition and observers subsequently cited flaws in the tabulation process that, had they not occurred, might have changed the outcome. In the end, however, international and domestic observers concluded that the close result of the vote reflected the will of the people. In May 2009, the government approved a new general elections law that contained innovations based on the experience of the 2003 municipal elections. Presidential and National Assembly elections took place on 1–2 December 2004. FRELIMO candidate Armando Guebuza won with 64% of the popular vote. His opponent, Afonso Dhlakama of RENAMO, received 32% of the popular vote. FRELIMO won 160 seats in Parliament. A coalition of RENAMO and several small parties won the 90 remaining seats. 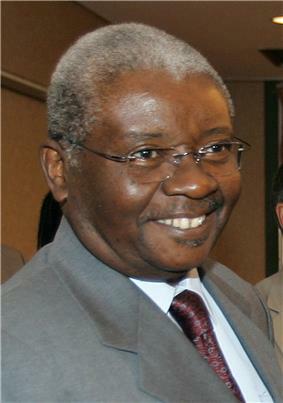 Armando Guebuza was inaugurated as the President of Mozambique on 2 February 2005. RENAMO and some other opposition parties made claims of election fraud and denounced the result. These claims were supported by international observers (among others by the European Union Election Observation Mission to Mozambique and the Carter Centre) to the elections who criticised the fact that the National Electoral Commission (CNE) did not conduct fair and transparent elections. They listed a whole range of shortcomings by the electoral authorities that benefited the ruling party FRELIMO. However, according to EU observers, the elections shortcomings have probably not affected the final result in the presidential election. On the other hand, the observers have declared that the outcome of the parliamentary election and thus the distribution of seats in the National Assembly does not reflect the will of the Mozambican people and is clearly to the disadvantage of RENAMO. After a clashes between Renamo guards and the police in Muxungue and Gondola in April 2013, Renamo said it would boycott and disrupt local elections in November 2013. Since the end of the civil war in 1992 about 300 Renamo guards had remained armed and refused to join the national army or police force. 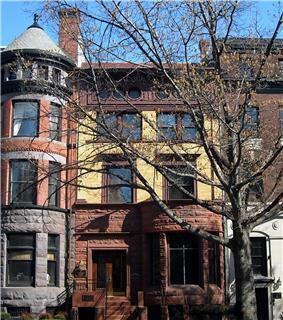 Mozambican Embassy in Washington, D.C. In the years immediately following its independence, Mozambique benefited from considerable assistance from some Western countries, notably the Scandinavians. The Soviet Union and its allies, however, became Mozambique's primary economic, military and political supporters, and its foreign policy reflected this linkage. This began to change in 1983; in 1984 Mozambique joined the World Bank and International Monetary Fund. Western aid by the Scandinavian countries of Sweden, Norway, Denmark and Iceland quickly replaced Soviet support. Finland and the Netherlands are becoming increasingly important sources of development assistance. Italy also maintains a profile in Mozambique as a result of its key role during the peace process. Relations with Portugal, the former colonial power, continue to be important because Portuguese investors play a visible role in Mozambique's economy. 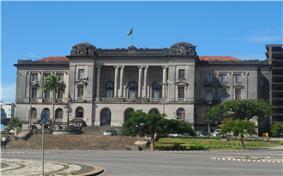 Mozambique is a member of the Anglophone neighbours in the Commonwealth of Nations. At the time it was the only nation to have joined the Commonwealth that was never part of the British Empire. In the same year, Mozambique became a founding member and the first President of the Community of Portuguese Language Countries (CPLP), and maintains close ties with other Portuguese-speaking countries. The official currency is the New Metical (as of February 2013, 1 USD is roughly equivalent to 30 New Meticals), which replaced old Meticals at the rate of a thousand to one. The old currency was redeemable at the Bank of Mozambique until the end of 2012. The US$, South African rand, and recently the euro are also widely accepted and used in business transactions. The minimum legal salary is around US$60 per month. 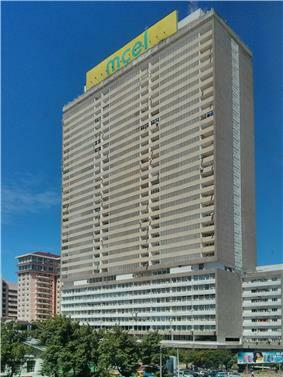 Mozambique is a member of the Southern African Development Community (SADC). The SADC free trade protocol is aimed at making the Southern African region more competitive by eliminating tariffs and other trade barriers. The World Bank in 2007 talked of Mozambique's 'blistering pace of economic growth'. A joint donor-government study in early 2007 said 'Mozambique is generally considered an aid success story.' The IMF in early 2007 said 'Mozambique is a success story in Sub-Saharan Africa.' Yet, despite this apparent success, both the World Bank and UNICEF used the word 'paradox' to describe rising chronic child malnutrition in the face of GDP growth. Between 1994 and 2006, average annual GDP growth was approximately 8%, however, the country remains one of the poorest and most underdeveloped in the world. In a 2006 survey, three-quarters of Mozambicans said that in the past five years their economic position had remained the same or become worse. The resettlement of  The devastating floods of early 2000 slowed GDP growth to 2.1% but a full recovery was achieved in 2001 with growth of 14.8%. . Rapid expansion in the future hinged on several major foreign investment projects, continued economic reform, and the revival of the agriculture, transportation, and tourism sectors. In 2013 about 80% of the population was employed in agriculture, the majority of whom were engaged in small-scale subsistence farming which still suffered from inadequate infrastructure, commercial networks, and investment. However, in 2012, more than 90% of Mozambique's arable land was still uncultivated. Mozambique's economy has been shaken by a number of corruption scandals. In July 2011, the government proposed new anti-corruption laws to criminalise embezzlement, influence peddling and graft, following numerous instances of theft of public money. This has been endorsed by the country's Council of Ministers. Mozambique has convicted two former ministers for graft in the past two years. 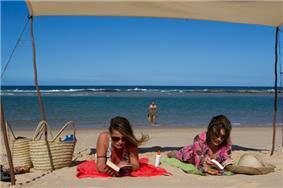 Mozambique attracts tourists. The country's natural beauty, wildlife, and historic heritage provide opportunities for beach, cultural, and eco-tourism. 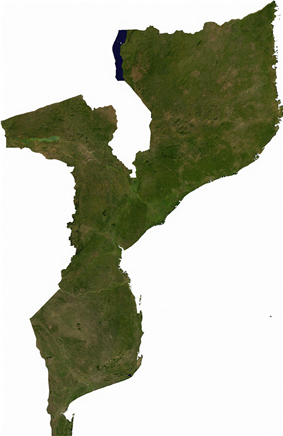 The north-central provinces of Zambezia and Nampula are the most populous, with about 45% of the population. The estimated four million Macua are the dominant group in the northern part of the country; the Sena and Shona (mostly Ndau) are prominent in the Zambezi valley, and the Shangaan (Tsonga) dominate in southern Mozambique. Other groups include Makonde, Yao, Swahili, Tonga, Chopi, and Nguni (including Zulu). Bantu people comprise 97.8% of the population, with the rest including White Africans (largely of Portuguese ancestry), Euro-Africans (mestiço people of mixed Bantu and Portuguese heritage), and Indians. 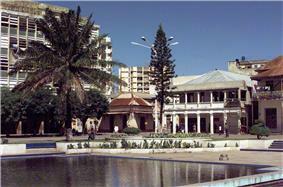 Roughly 45,000 people of Indian descent reside in Mozambique. Prepositions appear in these languages as locative prefixes prefixed to the noun and declined according to their own noun-class. 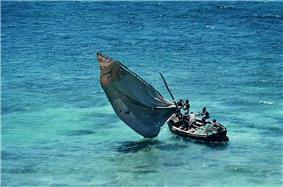 Some Nyanja is used at the coast of Lake Malawi, as well as on the other side of the Lake bordering on Malawi. South of this area are languages of the Shangaan group, which are quite different again. XiTswa or Tswa occurs at the coast and inland, XiTsonga or Tsonga straddles the area around the Limpopo River, including such local dialects as XiChangana. This language area extends into neighbouring South Africa. Still related to these, but distinct, are GiTonga and CiCopi or Chopi spoken north of the mouth of the Limpopo, and XiRonga or Ronga in the immediate region around Maputo. The languages in this group are, judging by the short vocabularies, very vaguely similar to Zulu, but obviously not in the same immediate group. There are small Swazi- and Zulu-speaking areas in Mozambique immediately next to the Swaziland and KwaZulu-Natal borders. Arabs, Chinese and Indians primarily speak Portuguese and some Hindi. Indians from Portuguese India speak any of the Portuguese Creoles of their origin aside from Portuguese as their second language. The Church of Jesus Christ of Latter-day Saints (LDS Church) has established a growing presence in Mozambique. It first began sending missionaries to Mozambique in 1999, and, as of December 2012, has more than 6,029 members. Muslims are particularly present in the north of the country. They are organised in several "tariqa" or brotherhoods. 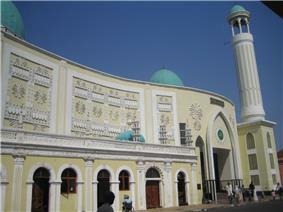 Two national organisations also exist – the Conselho Islâmico de Moçambique and the Congresso Islâmico de Moçambique. There are also important Indo-Pakistani associations as well as some Shia communities. 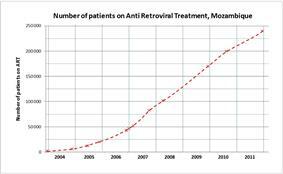 The increase in number of HIV positive Mozambicans on Antiretroviral treatment, 2003–14. In June 2011, the United Nations Population Fund released a report on the State of the World's Midwifery. It contained new data on the midwifery workforce and policies relating to newborn and maternal mortality for 58 countries. The 2010 maternal mortality rate per 100,000 births for Mozambique is 550. This is compared with 598.8 in 2008 and 385 in 1990. The under 5 mortality rate, per 1,000 births is 147 and the neonatal mortality as a percentage of under 5s mortality is 29. The aim of this report is to highlight ways in which the Millennium Development Goals can be achieved, particularly Goal 4 – Reduce child mortality and Goal 5 – improve maternal death. In Mozambique the number of midwives per 1,000 live births is 3 and the lifetime risk of death for pregnant women 1 in 37. The official prevalence of HIV in Mozambique in 2011 was 11.5% for the population in the age range between 15 and 49 years. For the southern parts of the country - Maputo and Gaza provinces, and city of Maputo itself - the official figures are more than twice as high as the national average. In 2011 the health authorities estimated about 1.7 million Mozambicans were HIV-positive, of whom 600,000 were in need of anti-retroviral treatment. As per December 2011 240,000 were receiving such treatment, increasing to 416,000 in March 2014 according to the health authorities. According to the 2011 UNAIDS Report, the HIV/AIDS epidemic in Mozambique seems to be leveling off. As NGOs do for many developing countries, Mozambique is supported by the rest of the world. Due to foreign aid management difficulties and the inequity of the local community, the NGOs fragment the primary health care system in Mozambique. It is the time that foreign aids and NGOs can think of a new way to help developing countries like Mozambique. 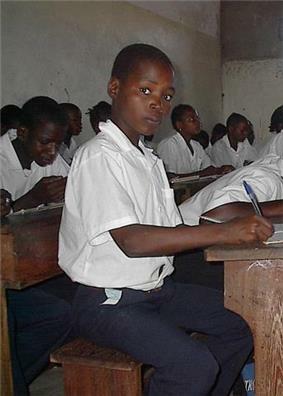 According to 2010 estimates, the literacy rate of Mozambique is 56.1% (70.8% male and 42.8% female). The music of Mozambique can serve many purposes, ranging from religious expression to traditional ceremonies. Musical instruments are usually handmade. Some of the instruments used in Mozambican musical expression include drums made of wood and animal skin; the lupembe, a woodwind instrument made from animal horns or wood; and the marimba, which is a kind of xylophone native to Mozambique. The marimba is a popular instrument with the Chopi of the south central coast who are famous for their musical skill and dance. Some would say that Mozambique's music is similar to reggae and West Indian calypso. Other music types are popular in Mozambique like marrabenta, and other Lusophone music forms like fado, samba, bossa nova, maxixe (with origins from Maxixe, and kizomba). The Makonde are renowned for their wood carving and elaborate masks, see picture below, that are commonly used in traditional dances. There are two different kinds of wood carvings. Shetani, (evil spirits), which are mostly carved in heavy ebony, tall, and elegantly curved with symbols and nonrepresentational faces. The Ujamaa are totem-type carvings which illustrate lifelike faces of people and various figures. Theses sculptures are usually referred to as "family trees" because they tell stories of many generations. Present for nearly 500 years, the Portuguese greatly impacted the cuisine of Mozambique. Staples and crops such as kebab), pudim (pudding), and the popular inteiro com piripiri (whole chicken in piri-piri sauce) are all Portuguese dishes commonly eaten in present-day Mozambique. The T.V. stations watched by Mozambicans are TVM Televisão Moçambique, STV and TIM. Through cable and satellite, viewers can access tens of other Africa, European, Brazilian and Asian channels. Football (Portuguese: futebol) is the most popular sport in Mozambique. Nightlife is very dynamic. 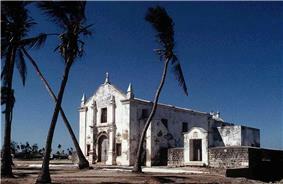 Mozambique was ruled by Portugal and they share in common a main language and their main religion (Roman Catholicism). But since most of the people are Bantus, most of the culture is native and for Bantus living in urban areas with some Portuguese influence. 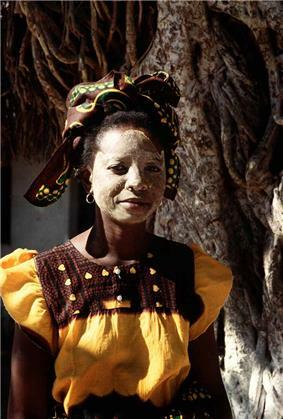 Mozambican culture influences the Portuguese culture. Mozambican music, movies (by RTP África), food, and traditions are now part of everyday lifestyles of Portugal. ^ a b c d "Mozambique". International Monetary Fund. Retrieved 2013-04-17. 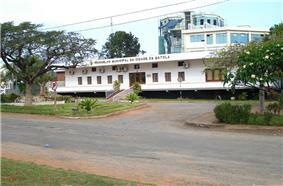 ^ Mozambiquehistory.htm, accessed February 2013. ^ a b Mozambique by Philip Briggs and Danny Edmunds. Books.google.com. 1 May 2007. ^ "CD do Diário de Notícias – Parte 08". Youtube.com. Retrieved 2010-05-02. ^ a b c Pfeiffer, J (2003). "International NGOs and primary health care in Mozambique: The need for a new model of collaboration". Social science & medicine (1982) 56 (4): 725–38. ^ "Special Investigation into the death of President Samora Machel". ^ SPECIAL ISSUE ON MOZAMBICAN REFUGEES. Refuge, Vol. 13, No. 6 (1993) Pi.library.yorku.ca. Retrieved on 2013-01-29. ^ Mozambique. State.gov (13 June 2012). Retrieved on 2013-01-29. ^ "Mozambique | Partner Countries and Activities | English | Þróunarsamvinnustofnun Íslands" (in Íslenska). Iceida.is. 1 June 1999. Retrieved 2010-05-02. ^ AFP (27 July 2011). "Mozambique proposes new anti-corruption laws". Google News. ^ "CORRUPTION ASSESSMENT: MOZAMBIQU". USAID. 16 December 2005. ^ Flynn, Alexis (9 May 2012). "UPDATE: Mozambique Talks To Shell On Developing LNG". WSJ.com. Archived from the original on 2012-05-12. Retrieved 10 May 2012. ^ Horta, Loro (13 August 2007). "China, Mozambique: old friends, new business". International Relations and Security Network Update. Retrieved 2007-11-03. ^ Harries, Rev. Lyndon, A Grammar of Mwera. Witwatersrand University Press, Johannesburg, 1950. ^ Barnes, Herbert, Nyanja – English Vocabulary (mostly of Likoma Island). Society for Promoting Christian Knowledge, London. 1902. ^ LDS Statistics and Church Facts for Mozambique. Mormonnewsroom.org. Retrieved on 2013-01-29. ^ a b c d e "Human Development Report 2009 – Mozambique". 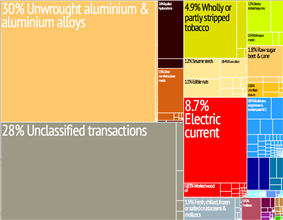 Hdrstats.undp.org. Retrieved 2010-05-02. ^ Pfeiffer, James. "International NGOs and primary health care in Mozambique: the need for a new model of collaboration". Retrieved 3 November 2012. ^ Fitzpatrick, Mary (2007). Mozambique.